If you are looking for more Dubai activities, more things to do in Dubai or places to visit in Dubai you can see more suggestions when clicking on the red links. Dubai activities - Desert ride in Dubai - explore the desert in Dubai. An experience that most probably always will stay in your memories, one of the most amazing Dubai activities! Get a feeling of freedom and forget your daily routine. You can prepare yourself for a desert drive Dubai, when you take some motocross training lessons in Dubai first. One of many Dubai activites that you can even do with the whole family, bikes for kids from 4 year of age, smaller bikes for girls and 40Horsepower racing bikes for the more experienced men. Dubai activities - explore the desert! Dubai activities - Al Boom Diving - Whether your are a complete beginner looking to take first steps in underwater exploration or you are an advanced diver looking for a new and exciting challenge. 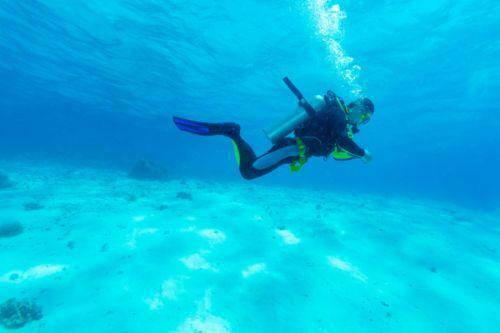 You will find your course at Al Boom Diving. All of the instructors are trained to the PADI standards to ensure that you get the best teaching. Al Boom is welcoming the whole family. Children can learn to dive through a junior program. Come and visit the diving centre and plan your next Dubai activities! You find it in Atlantis on the Palm. 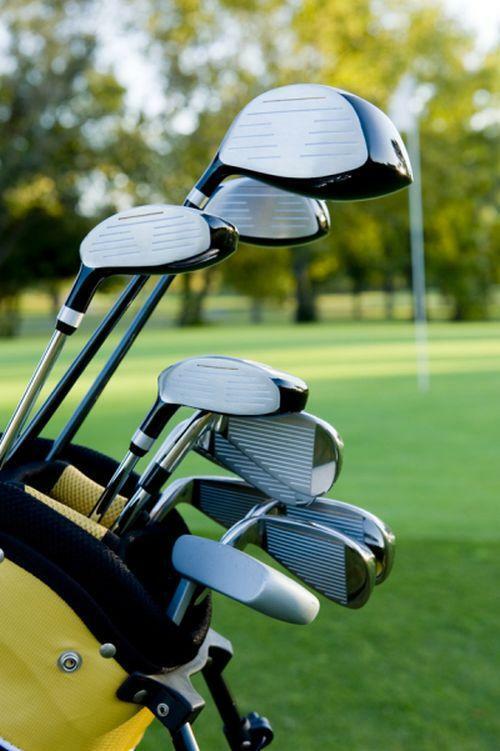 Dubai activities - Arabian Ranches Golf Club - This incredible Golf Club is situated in the heart of the Arabian Ranches Community. It is a 18 hole, par 72, desert style grass course. The Spanish Colonial style Clubhouse presents a Boutique Hotel with 11 luxurious guest rooms, an array of events and meeting venues and the Ranches Restaurant and Bar. It´s a great place to meet people and try the good International menu and enjoy theme nights. Arabian Ranches Clubhouse is open 24 hours and 7 days a week. The club is one a great Dubai activities to witness and it´s just a short drive from Dubai's iconic landmarks. Dubai activities - Captain Jack - Bristol Charter offers the widest range of traditional Arabian dhow, boat cruises, motor Yacht, sailing and motor catamarans. Yacht charter is a fantastic event including a professional crew and a “red carpet service”. It´s the best way to celebrate birthdays and weddings. Come and plan one of your next Dubai activities! Entertainment music is provided so you can experience the waters of Dubai in style. The Captain Jack is located at in the Marina Walk. Dubai activities - City Sightseeing Sharjah - The City Sightseeing Sharjah tour buses provide tourists and visitors a novel way to discover all ist charms and its rich cultural heritage. This unique service facilitates visiting and exploring Sharjah´s stunning tourist attractions in the best possible way. Plan one of your terrific Dubai activities such as a day on the “hop-on, hop-off” double decker bus. The tour allows visitors to take in the most enjoyable and memorable experiences in Sharjah as it plies across all the Emirate´s famous landmarks. Sharjah is not that far away from Dubai so you can enjoy a funny day! 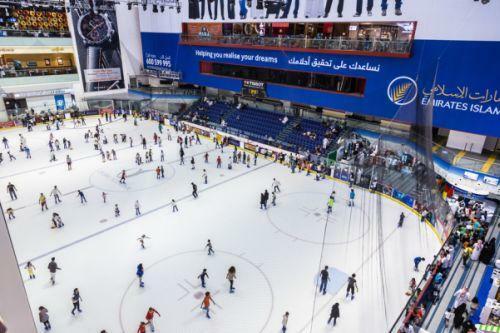 Dubai activities - Dubai Ice Rink - Dubai Ice Rink means a lot of fun for everybody. It will be very funny skating to fantastic disco music. Make yourself an enjoyable stay in the cooles place to be. Whether you just watch the scene or being in the middle of the thrill of ice skating. Everyone will have a wonderful memory of that choice of Dubai activities! It the perfekt place for a coming together with friends and have a great adventure. Come to the Dubai Mall and enjoy! Dubai activities - Sky & Sea Adventures - Experience the waters in a kayak. Feel free and move with the waves. You sit in a seat on the bottom of the boat and extend your legs in front. Let the water splash your face and feel alive and have great fun with that good choice of Dubai activities. You can experience more than kayaking with that company such as parasailing - Just try it! Sky & Sea Adventures is located in the HlLTON Dubai Jumeirah Resort. 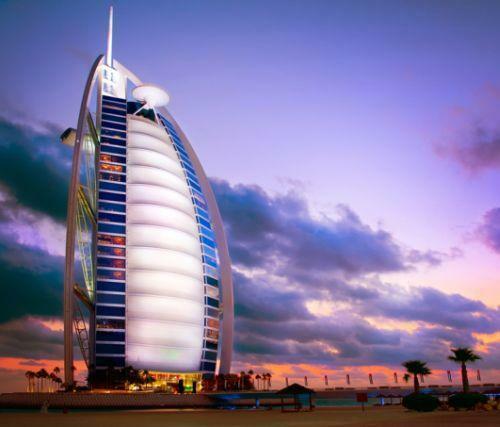 Dubai activities - Skyview Bar Burj Al Arab - If you plan to visit that exciting bar you can do so either as a hotel guest or you have reservation to one of its restaurants. Be prepared to spend money! You can expect a lot of decadence such as the most expensive cocktail the “Diamonds are Forever”. It is mixed with L`Heraud Grand Champage Cognac 1906, Luxor 24k Gold Flake Champage, Bitter Truth Jerry Thomas Bitters and Brown sogar. This terrific drink is presented in a Swarowski cocktail glas with diamonds. Alongside that awesome delicacy this bar is created in the most fascinating way and is presenting a wonderful view at the Persian Gulf and the Palm. Definitely one of the most impressing Dubai actitities you may experience in lifetime. Dubai activities - Kite Surfing with Duco Maritim - This company offers you a lot fun sports on the water. You can learn how to kite and stand up paddle boarding for beginners. Also advanced riders a very welcome. Take the chance and have an awesome day in the nature and learn or develope skills in kiting. Come to Yas Island and get your piece of one of the Dubai activities! Dubai activities - Emirates Kart Zone - This Karting facility emphasises on offering accessible and safe and enjoyable driving experience for the whole family. You can find the Karting Zone in the Al Wasl Sports Club in Oud Metha Road near the Dubai Mall. You and your friends can challenge eachother on the Formula 1 style Kart curcuit. Your Kart trip includes a safety briefing, helmets, suits, gloves, head socks and shoes. So come up and pick one of the epic Dubai activities! 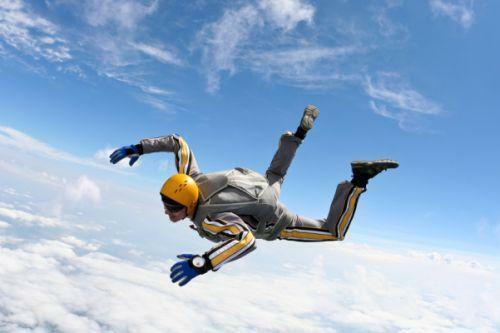 Dubai activities - Skydive Dubai - Skydive provides an exceptional lifetime experience. The drop zone area is 260000m and a runway area of 60m x 700m, consisting of ¾ water and ¼ land. The gear store offers all necessities and more. Maybe you want to jump in tandem you will get it ob you are just an interested visitor. Come and join the divers - up in the air or on the ground. Book one of the best Dubai activities! Dubai activities - Ski Dubai - Ski Dubai is a breathtaking indoor ski resort in the Middle East and it provides an amazing snow setting where you can enjoy skiing and snowboarding and tobogganing too. For sure, you can feel free to just play in the snow with your kids. 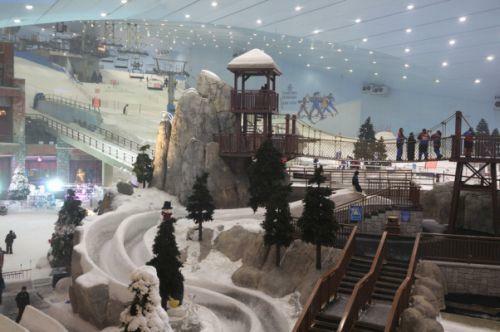 This is one of the Dubai activities that offers snow throughout the year. Come and have fun in the Mall of Emirates!